There have been rumblings for quite some time of Ubisoft working on a sequel to Mario + Rabbids Kingdom Battle, but today we get our biggest proof yet that something is up. This info comes straight to us from a GN reader who received an invite. Thanks to Golfdude for the heads up! I would LOVE a sequel. The game as well as DK DLC was fantastic. A game I thought I would hate when it first leaked became one of my favorite games of 2017. I hope the sequel is better than the first one. I liked it a fair amount, but I just couldn&apos;t be bothered to play through the D.K DLC after some other games caught my eye. still havent played it, cant get past the concept of it all. I&apos;ll give this game a chance when I get a Switch, no doubt. But maybe if part of the game wasn&apos;t Rabbids I&apos;d be more open to it. The Rabbids are absolutely fine in this game. Just put any preconceived ideas behind you that you might have of them from previous experiences and that element of the game won&apos;t bother you in the slightest. 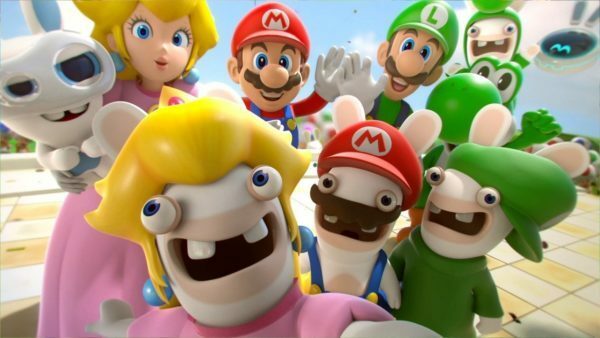 I&apos;d go as far as to say that if this was the very 1st incarnation of Rabbids in a game people would be in love with them and they wouldn&apos;t have all the hate they seem to have now. I can&apos;t wait for the sequel to be full of Waluigi memes that are ALREADY stale and will, by the time it releases, be completely fossilized. It&apos;ll be like Jurassic Park but with memes instead of dinosaurs and the entire thing is that scene with the pile of dung. I enjoyed it way more than I expected.